The B. Robert Williamson, Jr. Foundation was established in 2012 in memory of Robert Williamson – “RW” – to honor his vitality, insatiable curiosity, and passion for life. One of Robert’s greatest interests was the sport of golf and certainly the time he spent with family and friends out at The Rockaway Hunting Club in Lawrence, NY. 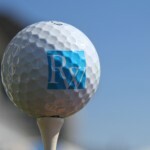 What better way to give back to the education and empowerment of young people than to participate in the seventh annual “RW” Charity Golf Classic (“RWGC”) for the benefit of the B. Robert Williamson Jr. Foundation. Last year’s event raised $258,,000 and was tons of fun. The seventh annual Charity Golf Classic of the B. Robert Williamson Jr. Foundation will be held on Friday, September 13th at The Rockaway Hunting Club in Lawrence, NY. Participation is limited to 72 players. Funds raised at the event will allow us to continue our innovative collaborative grant project empowering the youth as well as select other projects. A limited number of Individual playing spots are available for $1,000/each and the Foundation will assign you to a foursome.